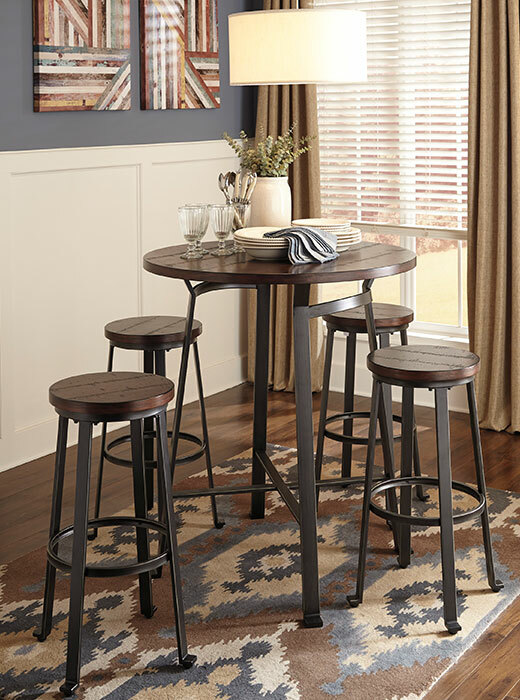 A rich rustic round dining set with a nice casual look. 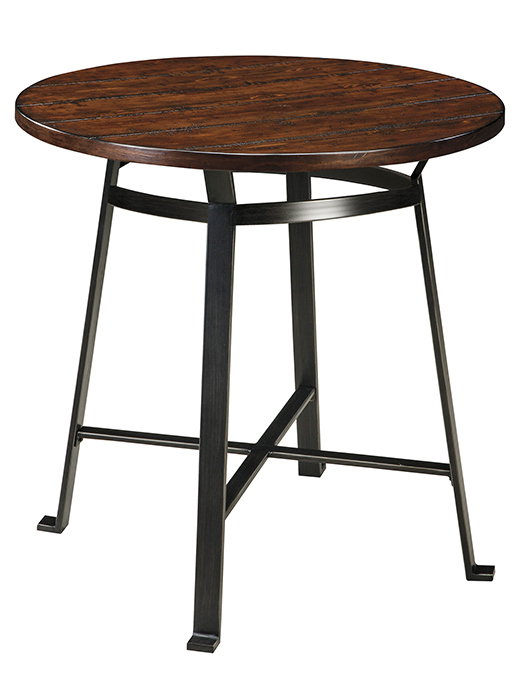 Plank design table with rough sawn details and a bar shaped metal base in a dark bronze color finish. These have a nice thick wooden top and sturdy metal frame. Description: A rich rustic round dining set with a nice casual look. 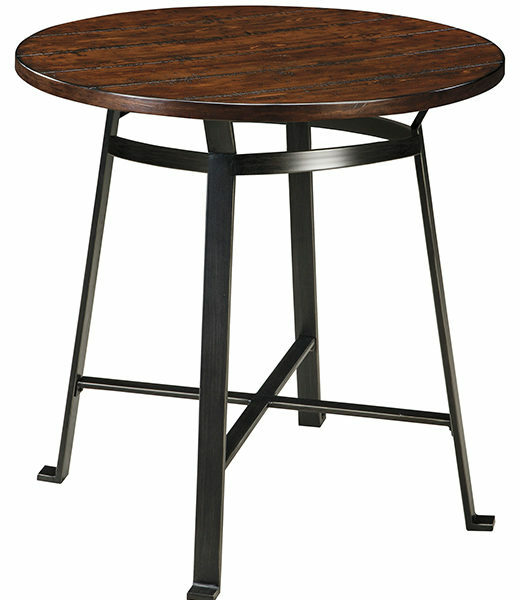 Plank design table with rough sawn details and a bar shaped metal base in a dark bronze color finish. 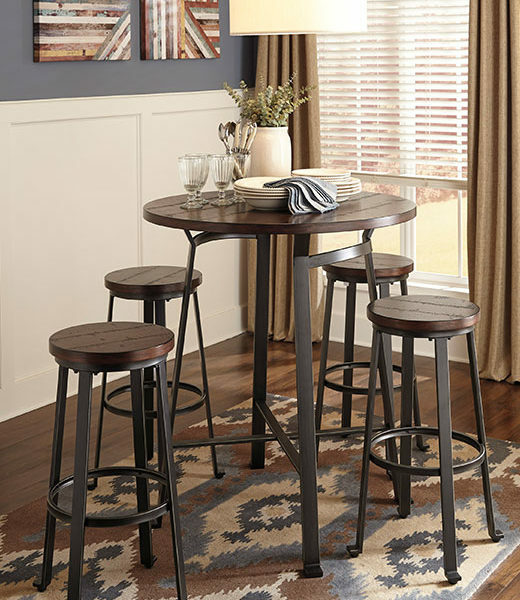 Table tops are made with planked pine veneer in cross saw distress dark brown finish. Modern industrial styling. Adjustable feet. 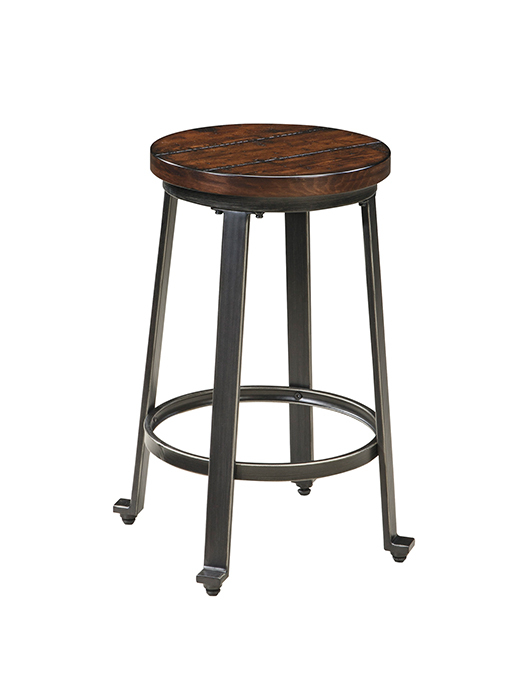 Set comes with 4 Stools in matching planked pine veneer in cross saw distress dark brown finish. 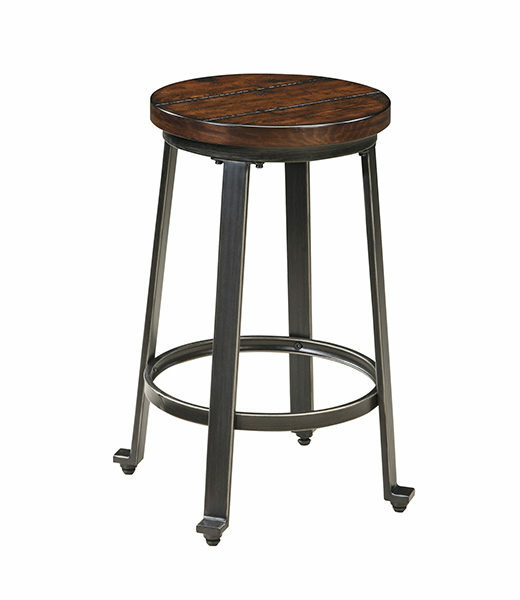 We do sell stools and table separately.